Howard Brenner admits there have been occasions, particularly in recent years, when he’s wanted to punt. Occasions, when he’s seriously considered ending this 60-year love-hate relationship with the Cleveland Browns. The past two seasons—heck, the past two decades—have been times that have tried fans’ souls. Buffalo Bills diehards lament how they had to endure 17 years without a playoff appearance—an infamous streak that magically ended last season. Ha! That’s nothing, says Brenner. Try following a team that in 2017 became just the second squad in National Football League history to go winless in a 16-game season. Or a team that is 1-31 the past two years. Or a team that’s posted double-digit losses in nine of its last 10 seasons and in 15 of its last 19. Or a team that’s churned through 20 starting quarterbacks, six head coaches and seven general managers in the last decade alone. 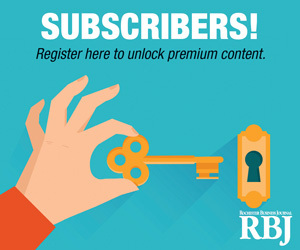 There’s a fine line between loyalty and masochism. Brenner and so many of his fellow Browns fanatics can’t help but wonder if they crossed it long ago. And, yet, despite the misery, despite this unrequited love, they just can’t let go. So, instead of cutting their losses, Brenner & Co. soldier on, wearing their Browns gear in public and waving those brown and orange pom-poms in hopes they’ll have something to cheer about beyond “earning” the No. 1 overall draft picks that come with last-place finishes. Hope springs eternal in the spring, even for a football team that’s averaged nearly 15 losses per season the last three seasons. The Browns currently are undefeated and have been busy trying to win the off-season, trading for Bills quarterback Tyrod Taylor and signing prolific Miami Dolphins receiver Jarvis Landry. These moves have Brenner stoked. The other reason for hope is the upcoming draft. The Browns own the top pick, which they are expected to use on their quarterback of the future—USC’s Sam Darnold and Wyoming’s Josh Allen are the frontrunners. And they also have the fourth selection overall, which might be used to choose Bradley Chubb, the North Carolina State defensive end who recorded 10 sacks and 25 tackles for losses last fall. Like many Browns’ baby boomers, Brenner’s love can be traced to the late 1950s. Before the Bills were born into the old American Football League in 1960, Rochester’s pro football allegiances were divided between the two teams whose games were shown weekly on local television—the Browns and New York Giants. Brenner has been hooked ever since. In 1992, he and 25 other diehards formed their club, which is the seventh largest Browns Backers club in the world. Many years ago, he started up a newsletter, cleverly titled “Woof!” after the “Dawg Pound,” the Browns crazed, dog-bone-tossing, end-zone-sitting cheering section. This Saturday evening at the Diplomat Party House, the Photo City Browns Backers will hold their 26th consecutive banquet, with current Pro Bowl linebacker Joe Schobert and former safety Felix Wright as headliners. About 140 people are expected to attend, with proceeds being donated to Rochester’s Open Door Mission. Decked out in their orange-and-brown football regalia, long-suffering Browns fans (are there any other kind?) will gather to commiserate and celebrate. 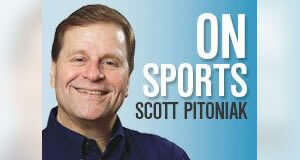 Best-selling author and nationally honored journalist Scott Pitoniak is the Rochester Business Journal sports columnist.